ANNAPOLIS, Md. 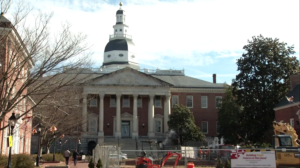 – In Maryland, state nurses could be getting a pay increase very soon. Leaders in the health industry say it could help address the troubling staffing shortage. On Friday, we learned that nurses who work in state facilities and hospitals could get an 11.5% raise, if the Maryland Health Department’s proposed fiscal year 2020 budget is approved. The hope is that the pay increase as well as other expanded benefits including cost of living will help some hospitals and health departments. “There needs to be that sense that same sense of commitment career ladder and recruitment that goes into working with some of our most vulnerable citizens across the state,” says Sen. Addie Eckardt. Eckardt believes state employees have not been adequately compensated for the work that they do and so she thinks something like this could be a huge step in the right direction.